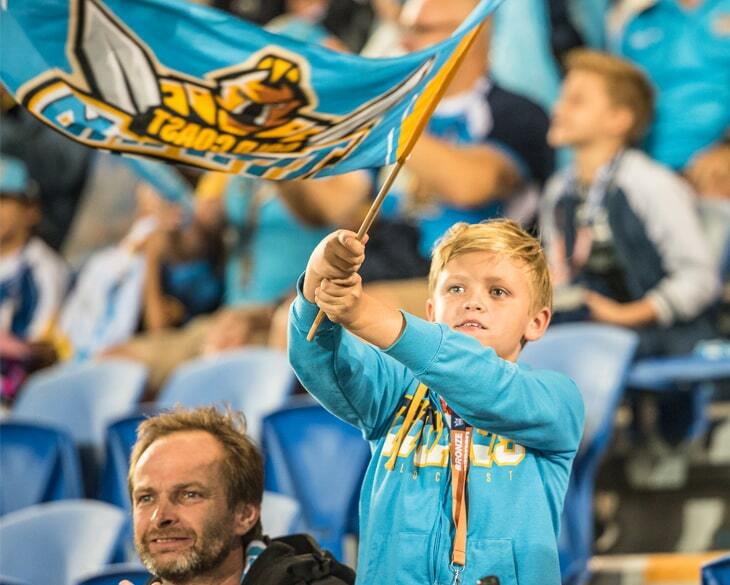 Get down to CBUS Super Stadium Friday 12th of April to see Gold Coast Titans in their home field take on Penrith Panthers. Friday night footy is back live on the Gold Coast, and we are celebrating with free entry for kids! Kick-off at 6pm, but get there early for pre-game entertainment including the brand-new Titans Fan Zone adjacent to Gate B with gourmet food trucks, sampling tents and entertainment for the kids, plus a new bar located at Gate F which is serving from one hour before the gates open. Tickets from just $28 for adults! Free entry for kids when accompanied by a paying adult. Be quick, because these offers are only for a limited time! Public Transport is the best way to get to the stadium on Game Days. Just show your event day ticket to access the free public transport services. Dedicated seating bays available for opposition fans. In 2019, We are Ready!